Home / Health benefits / Healthy living / 7 Amazing health benefits of avocado that will lure you. 7 Amazing health benefits of avocado that will lure you. The avocado is also regarded as a superfood because of the health benefits it has to human health, and in recent times, so many health conscious individual is now taking huge advantage of these benefits. The avocado tree is one that is native to Central America and Mexico. It is classified in the flowering plant family called Lauraceae along with camphor, cinnamon, and bay laurel. Just one avocado pear contains four grams of proteins, which is the highest amount coming from a fruit. Avocado's do not contain all the amino acid required in the protein building process of the body but they contain 18 of the important ones, according to a recent study. Avocado is rich in heart-healthy monounsaturated fatty acids. 77% of the calories found in avocados are from fat, making it one of the existing foods that contains high fat. But they do not just contain any kind of fat, the majority of the fat found in avocado is oleic acid (which is a heart-healthy fatty acid that is believed to be one of the main reasons for the health benefits of olive oil). The avocados are known as anti-ageing powerhouse. The inner smoothness and creaminess are all what we need for a glowing youthful skin. With the combination of the healthy fat, vitamins and all the nutrients found in them, an avocado tree could be the next fountain (tree) of youths. 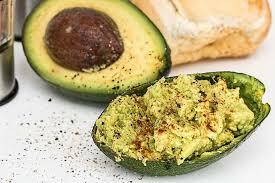 Fibre is another nutrient that is found in large quantity in avocado. Fibre is an indigestible plant matter that can contribute to weight loss, reduce blood sugar levels and is strongly linked to a lower risk of most diseases. Heart diseases are one of the most common causes of death in the world today. Several blood markers are linked to an increased risk of heart diseases. Such markers includes; cholesterol, triglycerides, inflammatory markers, blood pressure and various others. Various studies have revealed that avocado can reduce total cholesterol levels in the blood significantly, reduce triglycerides in the blood by up to 20%, lower LDL (bad) cholesterol by up to 22% and increase HDL (good) cholesterol by up to 11%. People that consumes avocados were found to be much healthier compared to those who do not eat them, according to studies. They had a much higher nutrient intake and were half as likely to have metabolic syndrome, a cluster of symptoms that are a major risk factor for heart disease and diabetes. Avocados are rich in powerful antioxidants that is capable of giving protection to the eyes and offers much benefits to our eye health. Avocados are high in antioxidants, including Lutein and Zeaxanthin. These nutrients are very important for eye health and lower the risk of macular degeneration and cataracts.